Selected reviews and interviews about the book. A page with further exploration of Johnson's sources. A page of errata and addenda, correcting some errors that slipped into print. Elijah's own CD, "Street Corner Cowboys"
Other blues-related pages include: Three unique blues compilations, other recommended blues CDs, the Chicago Defender ad index, my biography of Josh White, and various articles and interviews, including pieces on Charlie Patton, Leroy Carr, John Jackson, Dave Van Ronk, and Larry Johnson. An article on Dave Van Ronk, Bob Dylan, and their relationship to Robert Johnson. And, because it keeps coming up, a skeptical look at recent claims about the speed of Johnson's recordings. The first printing of the paperback edition includes a CD with take one of Johnson's "Traveling Riverside Blues," the one recording that is missing from Sony's "Complete Recordings," as well as Leroy Carr's "Mean Mistreater Mama," which was the model for Johnson's "Kind Hearted Woman Blues." This book is an attempt to explore Robert Johnson, his music, and his place in blues history, but more than that it is a broad exploration of the whole history of blues, asking what it would look like if we thought of it as African-American popular music --which it was from about 1910-1960 -- rather than as a roots, folk style. In the process, I discuss not only the music, but also the world in which it thrived. I take two questions as my jumping-off place: Why was Johnson’s work all but ignored by the blues audience of his time, and why is he now considered the greatest figure in blues history? To answer these questions, I provide the most thorough discussion so far of Johnson and his music, giving his life story as recalled by his friends and playing partners and studying his work in detail to look at his sources, his inspirations, and what he was trying to accomplish. 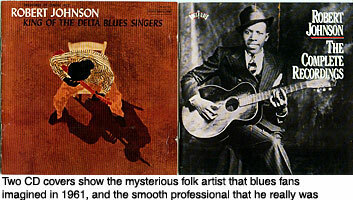 As background, I provide a full picture of the evolution of blues as popular music up to his time, and also of the wider music world of which blues was a part, from hillbilly hoedowns to Bing Crosby hits -- all of which were routinely played by artists like Johnson and Muddy Waters, but never recorded by them due to the pressures of the commercial record industry. Then I bring the story up to date, following the evolution of blues for both the black and the white audiences. Blues was first of all a black popular music style, and Johnson was not a demon-harried oddity from the primeval delta, but a brilliant and savvy pop musician, and he deserves to be respected as such, rather than worshipped as a weird rock deity. And yet, in some ways the myths are just as important as the reality. My own take on blues has been formed by thirty years of playing the music, many of them as a full-time professional (follow these YouTube links to see me playing songs by Mississippi John Hurt and Furry Lewis), and some twenty years of writing not only about blues, but about roots and pop styles from around the world. I became more deeply fascinated with Johnson's work after going to Mississippi for the first time, to play at the dedication of his grave marker, while working for two years as accompanist to the black string-band master Howard Armstrong, and then while teaching a series of classes on the history of blues, gospel, and other American roots styles. 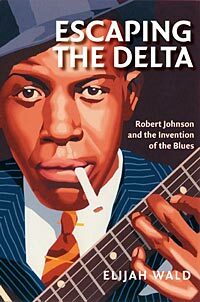 This book tries to show both the genuine Robert Johnson, an African-American popular musician whose recordings are both an artistic achievement and a commercially-oriented survey of 1930s blues trends, and the mythic Johnson who has been transformed from a talented but obscure Mississippi guitarist into a romantic legend. It should be available at all better bookstores, but if your dealer can't get it for you, you can buy it online by clicking this link. Back to the Crossroads: The Roots of Robert Johnson (Yazoo Records) is a CD counterpart to the book, freshly remastered from original 78 recordings. It includes tracks by many of Johnson's mentors and models, including numbers like "King of Spades," "Cruel Hearted Woman" and "Milk Cow Blues," to which he wrote direct answer songs, pieces by Lonnie Johnson and Son House from which he adapted vocal or guitar riffs, and other records that give a sense of the broader scene in which he did his work. There is more information about it on my music and albums page, and it should be available at all good record stores. If for some reason your local store can't help you, you can also buy it online by clicking this link, and you can hear samples of a few tracks at the Yazoo site. "an indispensable revisionist history of the blues "
"I don't think the reviews of Escaping the Delta that appeared at the time of its publication went far enough in describing its genius.... Wald puts you inside Johnson's head...he shows you what Johnson decided to play and when and puts forward convincing reasons why, shows you what sources he was combining, how he changed them, honored them....an extraordinary thought-movie... If the jacket copy primed me to come away disabused of my awe for Johnson's musicianship, instead it was doubled." "This book is amazing. Well researched, opinionated and controversial (I'm sure a couple of barroom fistfights will occur), but written with such honesty, intelligence and love for the music that it's difficult to sum up my feelings in a couple of sentences." "Wald's view of American culture is wonderfully bold and bracing. . . In the context of most writing about popular music, "Escaping the Delta" is more than a tonic. It's champagne, Muddy Waters' favorite drink." "Throughout, Wald writes better than anyone else ever has about the blues. If you read only one book about blues -- maybe ever -- read this one. Not just for bluesniks; this is great Black history, too". "Escaping the Delta is a scholarly and fascinating addition to the growing lexicon of literature about the Blues." "I'm enormously impressed by this history of the blues. It strips away the starry-eyed romanticism that has afflicted most writing about blues (including some of mine, in the past) and traces the genre's history as a living breathing popular art form." -- Barry "Dr. Demento" Hansen, listing ETD among his five favorite books of all time. "a gentle wake-up call, and by far the best of the three books on the Johnson myth published this year." "the most important theoretical book on African American music (in general) of the new millenium ...Don't be put off by my using the word "theoretical," folks! Wald is NOT an academic wonk but a practicing musician who is also a very fine writer... So, not only is this book important, it's a very good read." The word has been interpreted in many ways, but first it was a black pop style, and it remained a black pop style until the 1960s. Then, it retroactively became a folk style, and all the rules were changed. A look at blues up to 1940, as it has survived on records. Rather than looking for obscure geniuses, this chapter surveys the most popular stars and dominant trends, the pop market in which musicians like Johnson hoped to make their fortune. It explores the music’s evolution from the tent shows of the South to the era of Bessie Smith, then the cooler sound of Leroy Carr and the upbeat, racey hokum style. The artists whom history remembers as blues players were far more versatile than is apparent from their recordings. Due to a combination of racism and commercial pressures, most styles played by black musicians were considered unworthy of preservation, leaving us with a very slanted view of the scene. This chapter looks at what black rural musicians and the early urban blues stars were performing in live settings, and how that influenced what we think of as blues. HOLLERS, MOANS, AND "DEEP BLUES"
Socially, historically, and musically, the Mississippi Delta was a unique region, but one that was intimately connected to the world beyond its indistinct borders. This chapter is based on unpublished studies done in 1941 and 1942 for the Library of Congress and Fisk University. These include the only surveys done of musical tastes on Delta plantations, showing the range of music that was available and listened to in Johnson’s world. Most of this information, important as it is, has never appeared in print. The facts about Johnson’s life are few and often disputed. This chapter includes the handful of solid facts, but concentrates on Johnson as he was remembered by those who knew him. This oral history, the memories of childhood friends and bluesmen like Johnny Shines and Son House, gives a feel not only for Johnson as a person, but for the people and world that surrounded him. While Johnson's life is a mystery, his music should be clear enough. However, there are almost as many arguments about his records as about his story. Where did Johnson's music come from, what was he trying to do, and how does it fit into the larger musical world of his time, and of our time? The next three chapters examine his few recordings in more detail than ever before, exploring his models, the ways he adapted them and created his own style, and how this fitted with the trends and styles of the commercial music world of the 1930s. Johnson was well aware of current trends, and began his first recording session with a series of songs modeled on recent hits by top stars from the urban north. His adaptations of these hits show both what he aspired to, and the unique skills he brought to bear on this material. After the first day, Johnson seems to have run out of his prepared material, and as a result was thrown back on songs he had learned in his teens from local Mississippi players. These were less commercial, but include most of the records that are most admired today. Seven months later, Johnson was back in the studio, and these sessions show him having made significant changes since his previous visit. He was adopting new styles, and polishing his techniques, and the result includes some of his greatest work. For a quarter century after Johnson’s death in 1938, blues remained central to the black pop scene. This chapter sketches the music’s further evolution, from the Kansas City shouters and piano trios of the 1940s through the golden age of Rhythm and Blues, and the “down home” blues from Chicago and Detroit. It focuses on stars including Louis Jordan, T-Bone Walker, and Dinah Washington, looks at the range of styles that black listeners considered to be blues, and shows how the music finally ceased to have a place in the pop mainstream. At the moment of Johnson’s death, a small group of white jazz and folk fans were discovering his music. In the 1960s, they would help to spearhead a blues revival that swept the world in the hands of English bands like the Rolling Stones. Since then, the overwhelming majority of people who identify themselves as blues fans have been white. As these fans wrote the music’s history, they often skimmed over the stars and trendsetters in favor of romantic exceptions like Johnson, artists whose obscurity and lack of success added to their aura of mystery. In the process, they transformed the whole idea of “blues,” removing it from its mainstream context and turning it into a fascinating but insular cult taste. 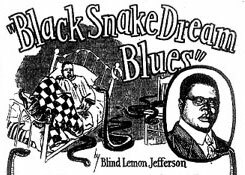 Today, most people's idea of blues comes by way of these fans, and Johnson is seen not in the context of the rich African-American pop scene of the 1930s, but as an ancestor of the Stones and Eric Clapton, a founding father of rock 'n' roll. A summing up, looking at Johnson’s legacy and the survival of blues today -- who is listening, who is playing, and where it fits in with what came before. APPENDIX: SO WHAT ABOUT THE DEVIL? Johnson’s life and music have too often been overshadowed by stories about him selling his soul to the Devil. This has little to do with who he really was or what he really played, but it is fascinating, entertaining, and cannot be ignored by anyone interested in his legend. 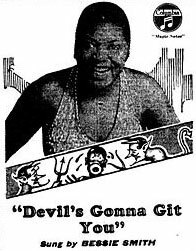 This appendix looks at the intersection of blues and the Devil in both the popular blues world and the Mississippi Delta, and how it relates to Johnson’s story. Short piece with photos about my Memphis signing.